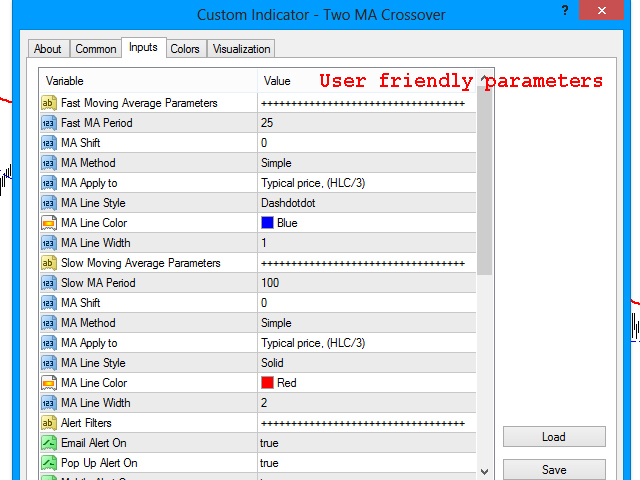 The Two MA Crossover is a Notification System that is highly recommended for real traders who trading with Moving Average Crossover Strategy. 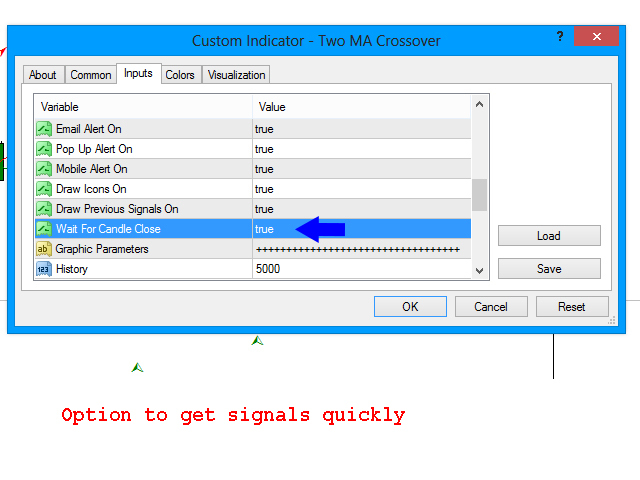 That fully automated notification indicator sends Alert to your mobile, email and display pop-up alert with playing sound on your computer when it detect moving average crossover from your favorite MA parameters. 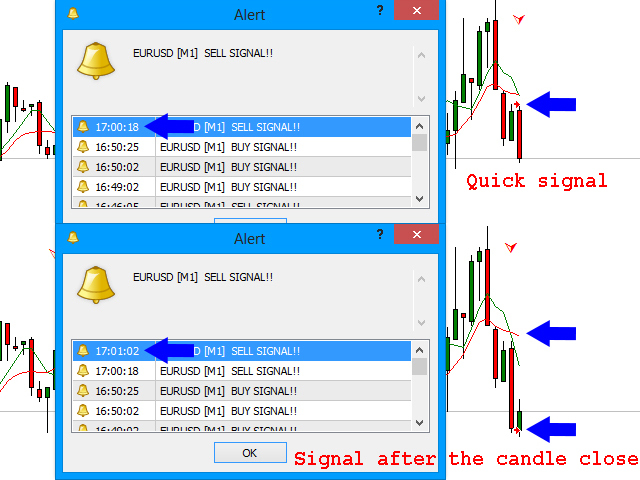 It allows you to keep abreast of the latest updates via "BUY SIGNAL" or "SELL SIGNAL". If you are serious about market movements, then you will never miss that valuable trading event again and again. 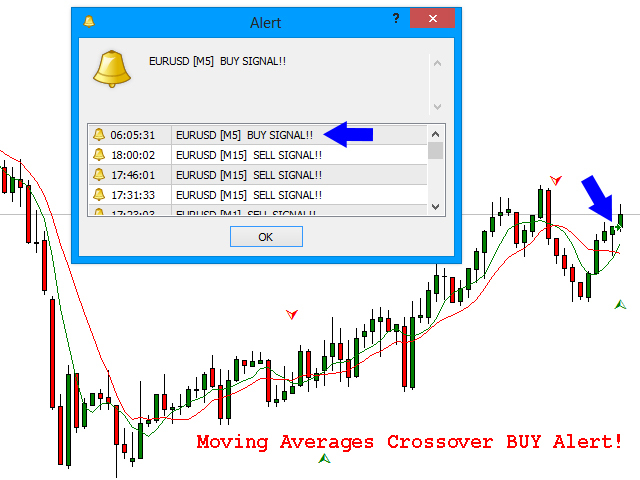 Time to launch that amazing moving average crossover notification system to your MT4 chart. And load your favorite MA parameters with it. Email Alert On - Activate/ Deactivate email alerts. Pop Up Alert On - Activate/ Deactivate pop up message alert. Mobile Alert On - Activate/ Deactivate push notifications to your mobile device. 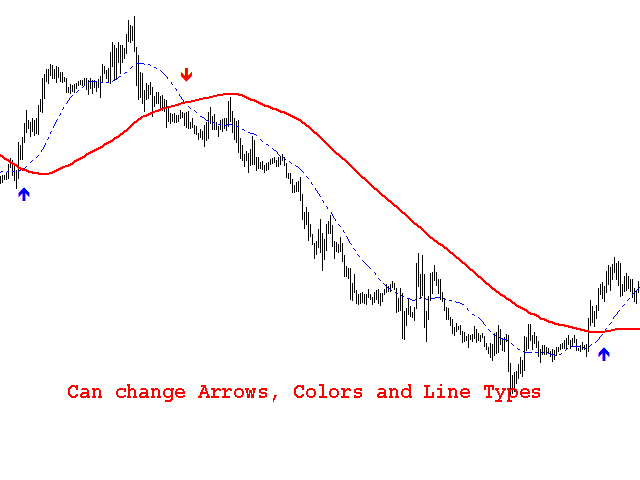 Draw Icons On - Activate/ Deactivate draw arrow signals on the chart. Draw Previous Signals On - Activate/ Deactivate previous signals on the chart. To - Same email address again. More details on setting up email notifications can be found here. 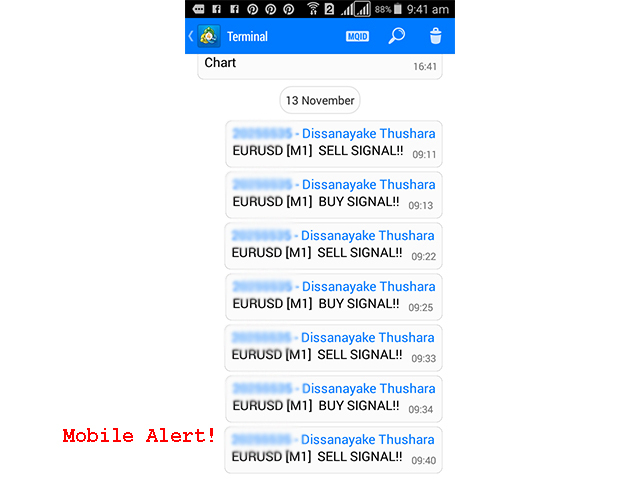 In order for Push Notifications, install the mobile version of MetaTrader and specify its MetaQuotes ID in the MT4 Options. More details on setting up push notifications can be found here. 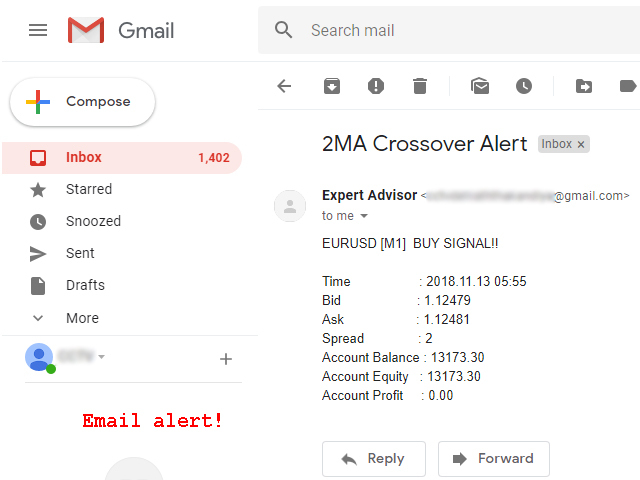 If you are like to automate MA strategies via EA, Download the Crossover Action Expert Advisor. 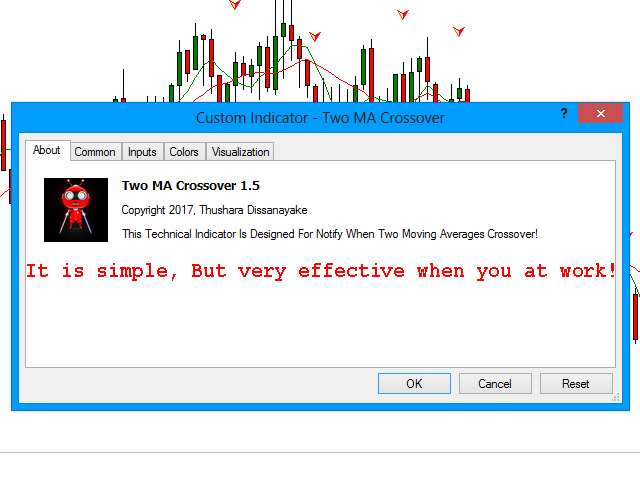 The Three MA Alert indicator supportive to get signals crossing 3 moving average lines. PERFECT! This indicator works really well in combination with my strategy. Thurshara is also very quick to reply to my questions. 1. 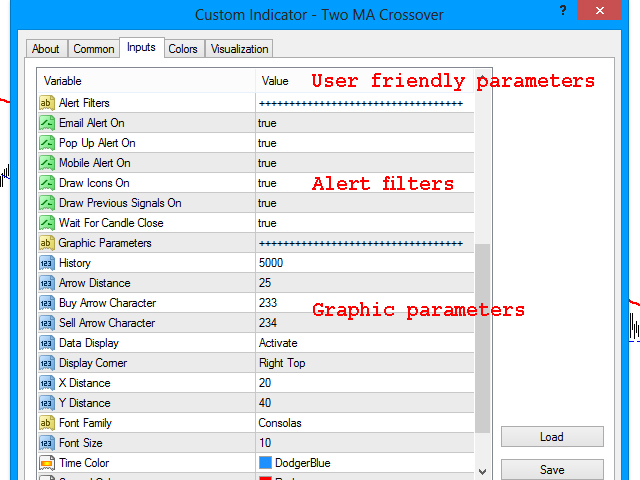 Optimized signal parameters for quick notifications. 2. Added new parameter for change Buy/Sell arrows. 1. Update the product logo. 1. Fixed alert problem that related to MA shift. 1. Fixed MA shift problem. 2. Removed chart clean option (Now you can use any other indicator with this indicator). 3. Fixed double values normalization. 1. Now it shows preview crossover points by drawing arrow icons. 2. Arrow icon can change. 3. 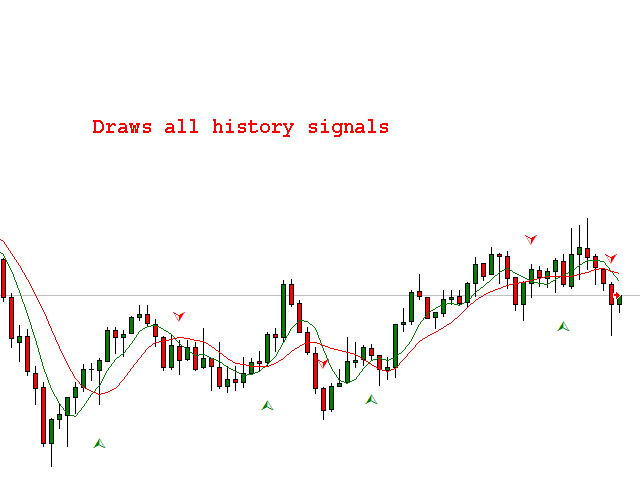 Removed "BUY SIGNAL", "SELL SIGNAL" comments on a chart.